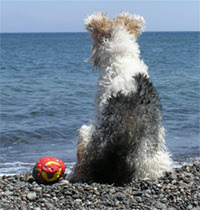 Home » Whitby Holiday News » Dog Friendly Whitby! As a dog friendly holiday park, I thought i would have a look at cafes and bars in Whitby that are dog friendly too. Becketts coffee shop on Skinner Street. The owners who are dog owners and often reserve a table for their dog Ketchup Robinson, are very keen for dog owners to come in and have a coffee and something to eat. The Buck Inn - are very dog friendly and will offer a bowl of water for your dog so they don't feel left out while you enjoy your refreshment! Other pubs that allow dogs in are: The Station Inn, The Little Angel, The Ship, The Fleece, The Endeavour, Black Horse and The Granby. the Sherlock Coffee House on Flowergate allows dogs but they are only welcome on the ground floor. If you fancy going for something to eat then these restaurants allow dogs to come dine with you! The Humble Pie and Mash shop welcome dogs. This is a great place to go if you like homemade pie and mash with peas, followed with a nice mug of tea to wash it all down with. They have some really tasty pies so be sure to try them all out! If you fancy fish and chips as we all do when we visit the seaside! Then Mr Chips on Church Street welcome dogs. So you don't have to forfeit your fish and chips when you come and stay with us. Another Fish Restaurant that allows pets is Abbey Wharf. This restaurant/bar is located in the Market Place just off Church Street and used to be called The Shambles. They not only offer fish and chips on their menu but also steak and chicken with some lovely desserts for afters! 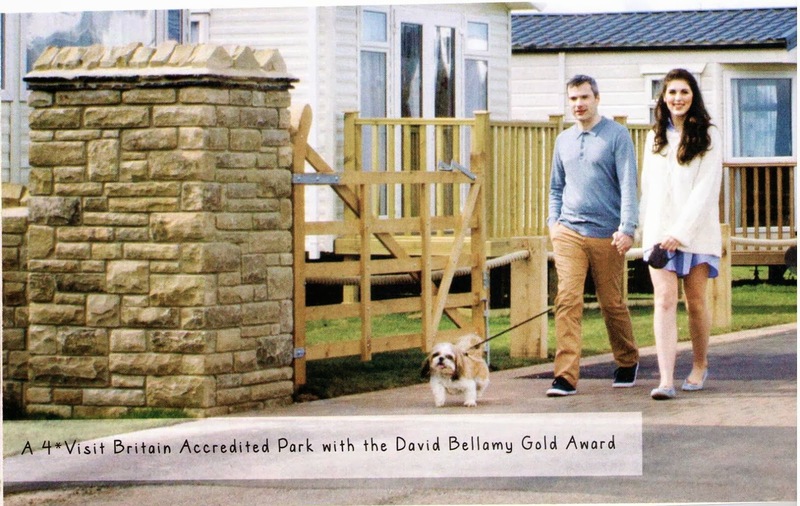 We are very proud to say that we are very dog friendly here at Whitby Holiday Park. We have quite a few Pet Friendly caravans for you to stay in, or we do allow pets on our touring field, so all the family can stay! We do allow pets on our patio area of the Family Club and if it's quiet we do allow dogs in the bottom room of our Club. We have a lovely beach which is located just off the Park. The access to the beach is via a footpath and steps directly off the Park. Once down on the beach it becomes a quiet little haven to while a few hours away, whether you go fossil hunting, sunbathing or just to wear the dog out for the evening! We are also on the Cleveland Way walk so for those of you who have some energetic dogs to tire out then this is perfect for you! The Cleveland Way runs from just outside the Park all the way to Robin Hoods Bay along a 5.5 mile stretch of footpaths, wooded areas and fields. There is some beautiful scenery to take in as you go! Once at the other end you can stop off and enjoy a lovely well earned refreshment at the Victoria Hotel at the top of the bank at Robin Hoods Bay. If you don't fancy walking then most taxi's in Whitby are dog friendly and will take you and your pet to wherever you would like to go. alternatively at Raithwaite Hall they have a dog spa, so if you fancy a pamper you can take your pet and they can have a pamper too! So as you can see you don't have to have the added extra expense of finding a dog sitter or kennels for your beloved pets, you can bring them along with you. 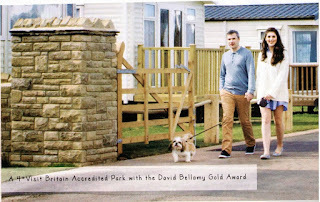 We look forward to seeing you all and your pets throughout the season here at Whitby Holiday Park.